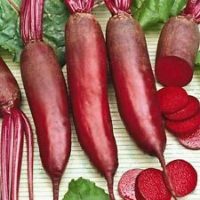 Beetroot – Cylindra is a delicious and very high yielding cylindrical shaped beetroot. Can become quite large and yet remains tender. Ideal for pickling. Related to: Chard, perpetual spinach, sugar beet and annual spinach. 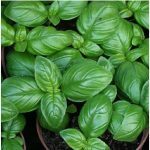 Botanical classification: Beta is the Latin term for beetroot; or from the Celtic bett, meaning red. Vulgaris means common. Beetroot Cylindra is a long cylindrical beetroot. These are ideal for pickling as all the slices are the same size. They also tend to be higher yielding. Beetroot Cylindra prefers light, well-drained soil. Fresh manure application before sowing should be avoided, a dressing of old compost incorporated in early spring is very beneficial. 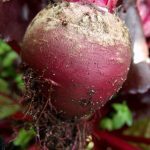 Beetroot Cylindra is one of the easiest vegetables to grow so even on heavy soil you can grow excellent beetroot, provided you have raised beds (to improve drainage). Beetroot Cylindra is an excellent winter vegetable and stores extremely well in boxes of damp sand (see page ). One year I had beetroot until May of the following year and they were still as good as freshly harvested roots. Beetroot Cylindra is one of the easiest vegetables to grow. There is no specific pest or disease that affects beetroot. 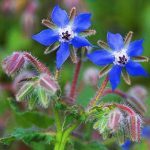 Slugs may eat young seedlings especially if sown too early or if the garden is a bit wild, but generally they would go for the other vegetables first.